I recently had the honour to be Specialist Advisor to the House of Lords Select Committee, which published the report of its findings following its post legislative scrutiny of the Bribery Act. Here are my thoughts on the report. The Bribery Act was passed, with much fanfare, in 2010 and came into force on 1 July 2011. The Act simplified previous anti-corruption legislation dating back to 1889 and 1906 and introduced for the first time a specific corporate offence of failure to prevent bribery. Under the Act, the Ministry of Justice (MOJ) was required to publish guidance for businesses on the adequate procedures they would need to implement to have a defence to the failure to prevent offence. The Act applies to UK companies and foreign companies conducting business or part of a business in the UK. It pertains to conduct in both domestic and foreign jurisdictions and applies to bribery in both the public and private sectors. Following the Act’s introduction, there was much concern about the impact it would have on the ability of UK businesses to conduct business abroad; this concern was a key focus of the Committee’s review. The review confirms that the Bribery Act 2010 is “an exemplary piece of legislation” which sets the global benchmark for anti-bribery and corruption legislation. A principal focus of the review was the Act’s impact on small and medium enterprises (SMEs). To assist SMEs, the Committee concluded the existing MOJ guidance on the Bribery Act should be updated to provide more instruction and examples of best practice. This is a welcome development, which it is hoped the MOJ will act upon quickly. The report reflects concerns about the speed at which bribery investigations are conducted and questions whether there are sufficient resources, particularly within the Serious Fraud Office (SFO). SFO Director Lisa Osofsky already has this issue on her to-do list. In fact, she has advocated greater use of artificial intelligence in document reviews as well as making use of powers to grant immunity from prosecution. The Committee’s recommendation that the SFO and Crown Prosecution Service (CPS) publish their plans on how to speed up investigations should ensure momentum on such initiatives is not lost. The Committee also favoured an extension of the failure to prevent offence to other forms of economic crime and has urged the government not to delay in analysing the evidence it received in response to its 2017 call for evidence on corporate criminal liability. Many will want to see more about this in the coming months. The report follows nine months of scrutiny by the Committee, including consideration of written and oral evidence from government ministers, departments, law enforcement, and the private sector. Whether SMEs have been sufficiently aware of the provisions of the Act. The Committee was also asked to consider the use of Deferred Prosecution Agreements (DPAs) in bribery cases and how their introduction has affected the conduct of companies both to prevent corrupt conduct, and in the investigation of such conduct once discovered. Length of investigations. Unsurprisingly, time spent on investigations came under the spotlight, with much criticism of delays, even in relatively straightforward cases, and lack of updates on progress. This was of particular concern to the Committee due to the detrimental effect that investigations can have on companies, particularly SMEs, in terms of management time and damage to reputation that may be suffered during a prolonged investigation. The Committee concluded there were a number of reasons for this, some outside the control of those investigating, but expressed concern that a lack of resources could be a contributing factor. In addition, the Committee was troubled by the level of staff turnover at the SFO, leading to a talent drain as lawyers and accountants depart for larger salaries in private practice. Police resources and training.There was concern about the lack of awareness of the Bribery Act amongst police officers, as relatively few have received training on the Act. The Committee heard evidence that police officers were continuing to pursue cases under the common law offence of misconduct in public office rather than offences under the Bribery Act which, for police-led investigations prosecuted by the CPS, have the extra hurdle of requiring approval from the Director of Public Prosecutions (DPP) before a prosecution for a Bribery Act offence can proceed. The Committee recommended further training for police officers to ensure there is at least one officer in each force trained on the Act. The Committee also recommended the Act be amended to allow the directors of the SFO and the CPS to delegate power to initiate proceedings in appropriate cases. Lack of cooperation and coordination. Poorcoordinationbetween law enforcement agencies was another area of concern for the Committee, although Ben Wallace MP noted the recently launched National Economic Crime Centre would provide a central focus and assist in improving cooperation. Revisions to the MOJ Guidance.The Committee favoured updating the MOJ Guidance in consultation with the business community, especially SMEs, which lack the resources of larger businesses. The Committee concluded further examples of what is acceptable would be useful, particularly in respect of corporate hospitality, as would suggestions on procedures which would be likely to provide a company with a good defence to the failure to prevent offence. They cited Her Majesty’s Revenue and Customs (HMRC) Guidance on the failure to prevent the facilitation of tax evasion as a helpful comparison. The Committee was also of the view that having two guides was confusing and that following amendment of the statutory guidance, it would be appropriate to withdraw the Quick Start Guide. Facilitation payments.The Committee heard evidence about the difficulties for companies, particularly those exporting goods, facing demands for facilitation payments. However, Committee members were not persuaded the Act should be changed to provide an exemption, which they considered would be a retrograde step. Rather, the Committee asserted the government should provide more guidance and support to SMEs seeking to export to new countries, including a properly trained point of contact within UK embassies to provide advice and assistance should such difficulties arise. The Committee also recommended that relevant webpages of the Department for International Trade, which are intended to help exporters, include reference to specific bribery and country corruption risks and include a link to the MOJ Guidance. The importance of a risk assessment.The report helpfully emphasises that all businesses, no matter their size, must conduct a properly documented risk assessment to ensure they make an informed decision about the level of risk their business faces to determine whether they require any safeguards. Corporate criminal liability. The Committee was of the view that the failure to prevent model introduced by section 7 of the Act “deals more than adequately with the question of corporate responsibility” without the “potential unintended consequences of a shift to a vicarious liability regime”. However, while clearly supportive of extending the model to other forms of economic crime, the Committee felt it was outside their remit to make a formal recommendation in this regard; it did, however, urge the government not to delay any further in analysing the evidence it had received in response to its 2017 call for evidence on corporate criminal liability. The adequate v reasonable debate.Having heard evidence from a number of witnesses about their concerns that “adequately” in the wording for the defence to the corporate failure to prevent offence would be interpreted too strictly, the Committee concluded that no change was needed. They found the existing wording sufficient and that “adequate procedures” meant “reasonable in all the circumstances”. The Committee did however recommend that the revisions to the MOJ Guidance confirm this, and in the event the failure to prevent model was adopted for other forms of economic crime, that the “reasonable in all the circumstances” wording be used. Deferred Prosecution Agreements. The Committee stated that in the short time they have been in operation, DPAs have proved an excellent way of handling corporate bribery, providing an incentive for self-reporting and for cooperating with the authorities. The Committee felt that if self-reporting was to be encouraged, there should be a distinction between the discount granted to a company which has self-reported and one which has not. 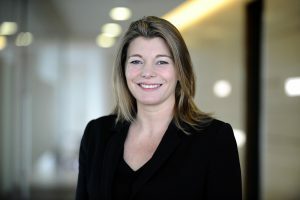 The Committee thought the guidance available on DPAs was sufficient but did recommend that the next time the sentencing guidelines for corporate offenders who had committed economic crimes were amended it should be made clear that they also apply to the calculation of financial penalties for DPAs. DPAs not a substitute for prosecuting culpable individuals.The Committee was strongly of the view that DPAs should not be an alternative to, or discourage, the prosecution of culpable individuals and that the cooperation of a company must include the provision of all available evidence which might implicate any individuals, however senior, suspected of involvement in the bribery. The Committee agreed with the The Organisation for Economic Co-operation and Development (OECD) that Scotland should consider adopting a system similar to the DPA regime, which would have a full statutory basis, a requirement for judicial approval, the ability to impose a fine in addition to disgorgement of profit, and a high degree of transparency.